I was all alone in my house on Tuesday morning. Perfectamundo! And I got inspired. 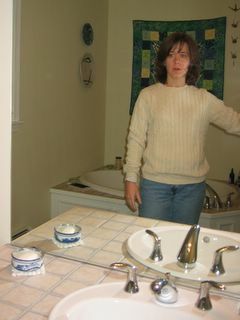 This sweater kept jumping off the page of a NorthStyle catalog. I didn't want to buy it, but I liked it. I had been considering going to Goodwill to look for a sweater that I could jazz up in this style, then I remembered this ill-advised purchase. 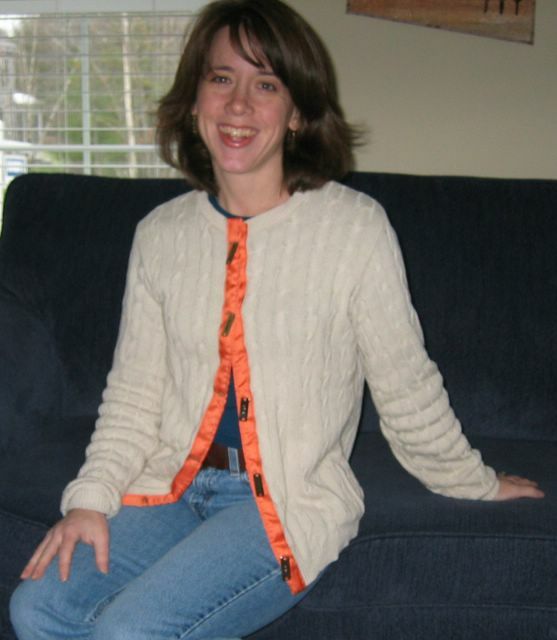 I fused a strip of some stabilizer down the front of the sweater inside and out. And sliced. Then I folded the ribbon in half and sewed it over the cut edges. Yes, I chose orange. It's the new black, you know. 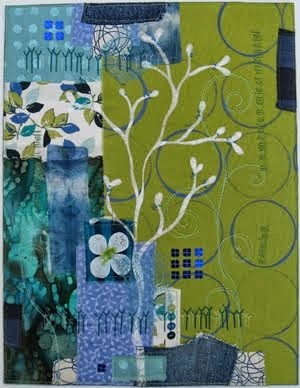 And yes, I chose green contrasting thread. Orange and green are the new light blue and brown. Now, those rectangle buttons. They didn't really have any in the button section. So I thought I'd check out the scrapbooking aisle for some smallish metal tags. Bingo. I'm so innovative. These have words on them -- "celebrate," "wish," "hope," "dream" and "imagine." And two holes. I just sewed through one hole so they hang and swing around a bit. 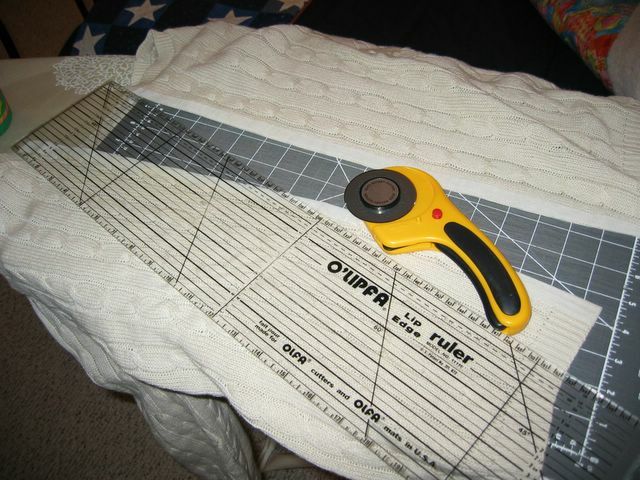 And then I had to get out the manual for my sewing machine so I could remember how to do button holes. Not my favorite thing. Ta da! Snappy, don't you think? 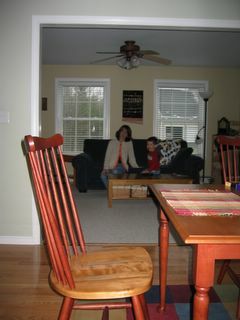 Six year old photographer also wanted a wide shot. 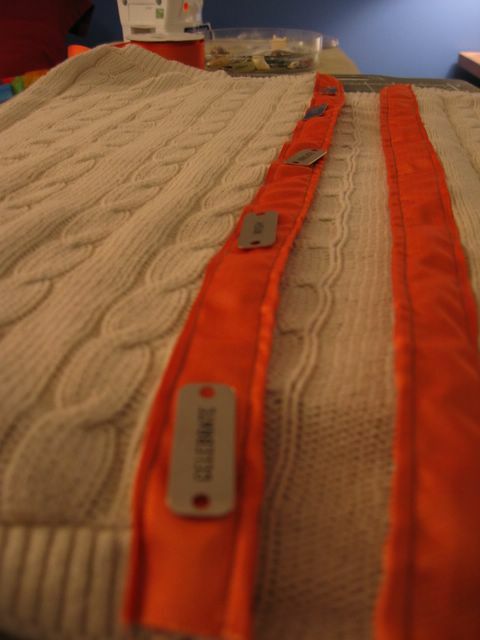 This picture makes me think that orange trim is quite bold. You can see it all the way across the room. That could be a good thing, I suppose. I'm liking this idea of renewing my tired clothes. What will be next? This is SO creative! And I love that with that orange ribbon, your family will be able to find you in ANY crowded setting. Move over, Martha! Lately, it seems, I love everything ORANGE, so I think your choice is inspired. 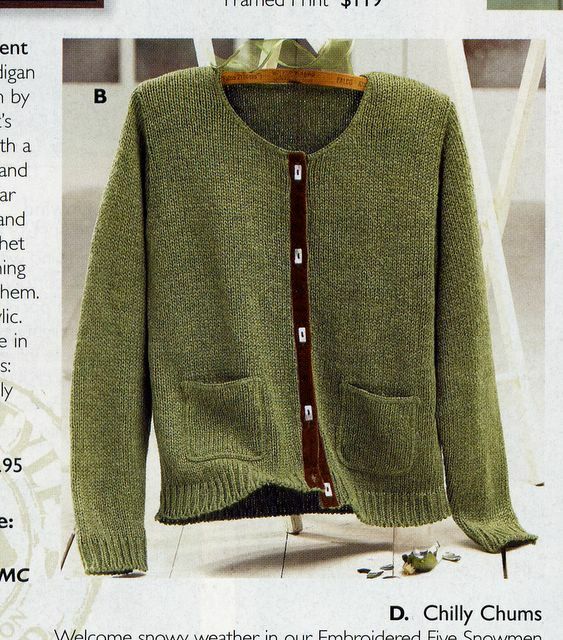 Seriously, the transformation from pullover to cardigan is fantastic ... and inspiring. I don't know what'll be next, but I can't wait to see because that is way cool! How brave of you to cut a knit. Looks good and I like the orange! Way to go! 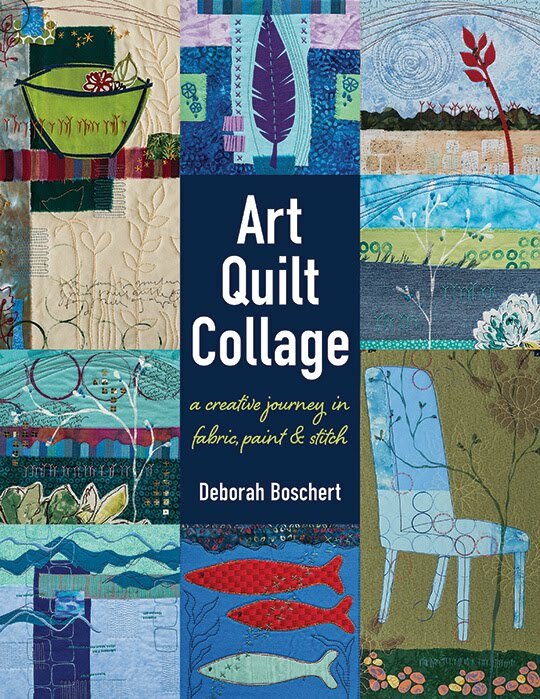 Big fan of the chopchop, Deborah! I absolutely love the idea. You are so frickin' clever. The orange ribbon...yum. Orange. Fabu. The "buttons"...well...pure genius. And of course you look superfantastic in it! I have never chopped a sweater before, and I have plenty that should be chopped...great idea! thanks for the inspiration! so loving the new sweater! Brilliant!! 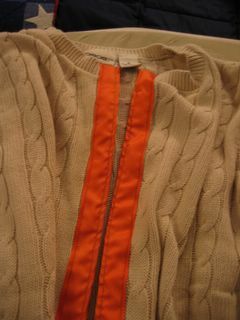 And to add to the idea, I volunteer to dye the whole sweater orange to match the ribbon. 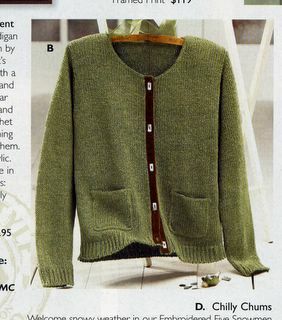 I must now plan a trip to the rumdum looking for the dull but wide enough pullover to do likewise. Perhaps this will end my fascination with the shawl. Very clever! When I saw the "in progress" photos I thought you had dyed the sweater camel color, which looks great with the orange, but it must be the lighting in the pics. However--you COULD dye the whole thing camel--probably would have little or no effect on the orange ribbon--just a thought. Great idea! I like it so much better as a cardingan!